Provide instant customer support to your customers. 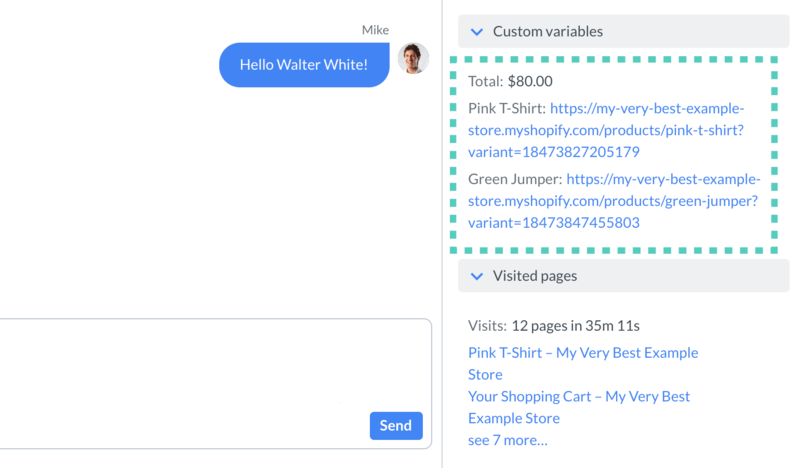 Get a real-time view of customer’s cart in chat. Increase the conversion rate of your online store with proactive chat greetings. Integrate with email and Facebook and use LiveChat as a main customer support channel. 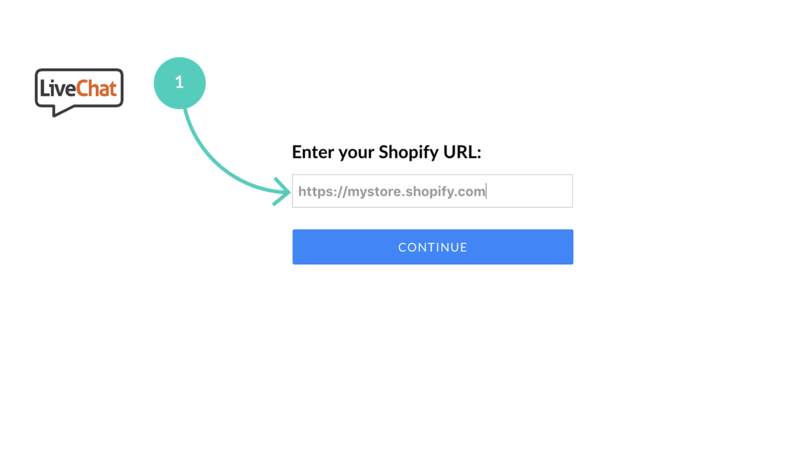 First, go to Shopify Installation page and enter the URL of your Shopify store. Click on Continue to confirm. 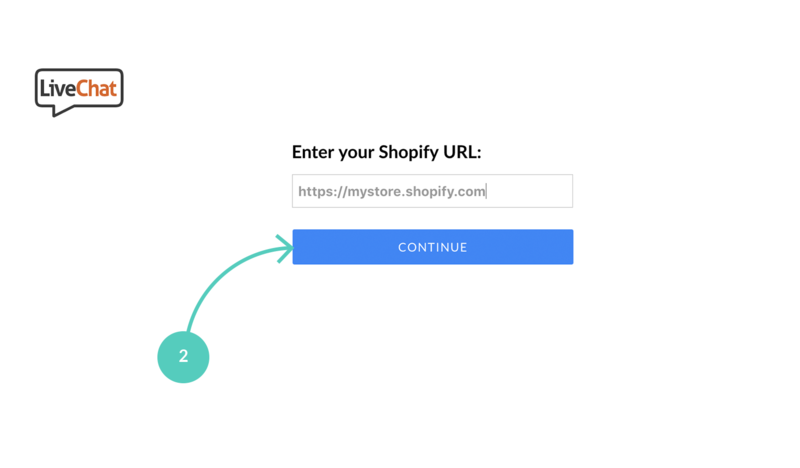 Log in to your Shopify account to proceed (you won’t see this window if you are already logged in to Shopify). Then, click on the LiveChat app. 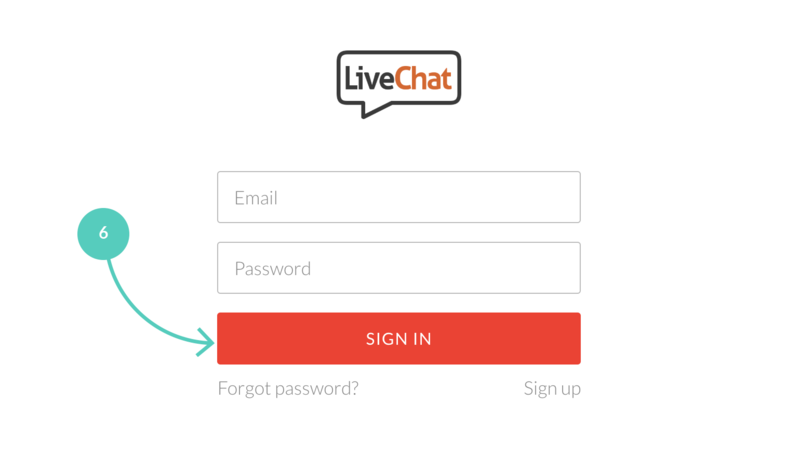 You will be taken to a LiveChat sign-up window. Finally, log in to your LiveChat account. That’s it! From now on you can talk to your customers in real-time! 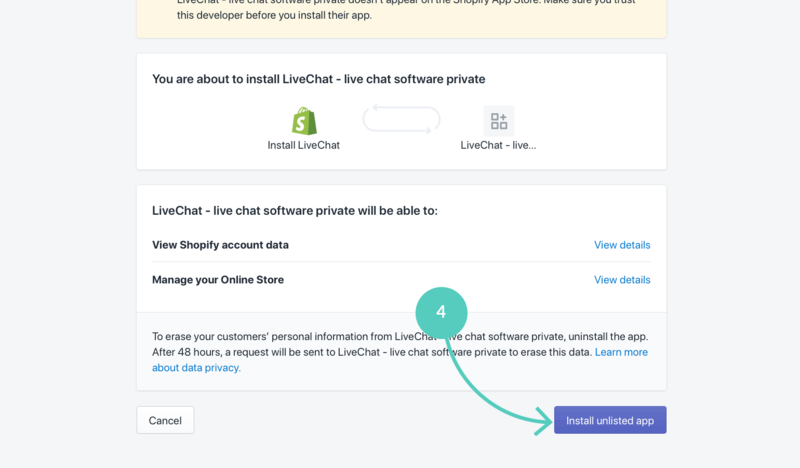 You can also install LiveChat via the Shopify app store. 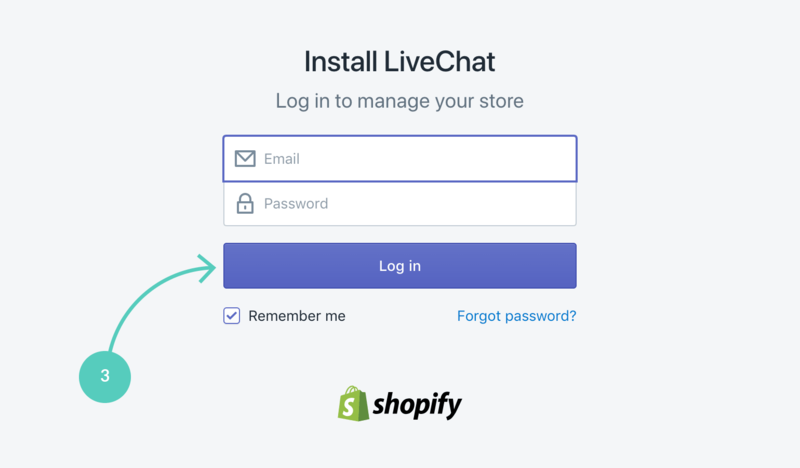 LiveChat integration with Shopify lets you see what is in your customer’s cart right in the chat window. You can find this information in the customer details bar on the right. Note that this feature is enabled by default and is shown in the Custom variables section.